We’re committed to providing an atmosphere where you can feel free to live, work and relax on your own schedule. Welcome to Sioux City's Candlewood Suites hotel. 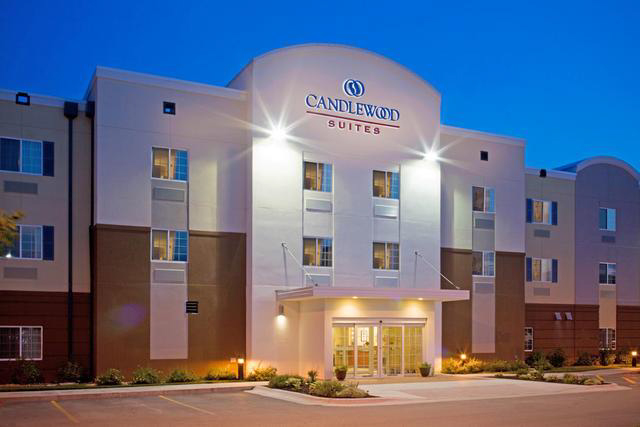 Nestled amongst the Sioux City communities of Iowa, Nebraska and South Dakota, the Candlewood Suites hotel is conveniently accessible off Hwy 20/Hwy 75, 1-29 and only 5 minutes away from Sioux Gateway Airport (SUX). Great shopping and restaurants are within a few blocks, including Applebee's, Outback Steakhouse, Olive Garden, Panera Bread, Texas Roadhouse, and many more! While here, experience all that Sioux City has to offer including the Lewis and Clark Interpretive Center, Orpheum Theatre, Dorothy Pecaut Nature Center, and the IBP Ice Center. Take in a Musketeers Hockey game at the Tyson Event Center/Gateway Arena, an Explorers Professional League Baseball Game, or try your luck at the Hard Rock Casino. Local business such as CF Industries, Mid American Energy, Sabre Industries, Tyson, Jolly Time, Palmer Candy, Jetsun Aviation, BPI, Unity Point St. Luke's and Mercy Medical Center are all within driving distance to the Candlewood Suites Sioux City hotel. Our hotel is designed just for you. Extended- stay travelers play by different rules and need a hotel that understands your unique needs. We have the amenities to help you keep your daily routine, including a 24- hour Fitness Center, full kitchen in every room, free guest laundry facilities, Candlewood Cupboard that includes a free movie library, free high speed wired and wireless Internet.